TinyBoy is an open 3D printer designed as an entry-level machine for students and newbies to learn 3D modelling technology and, ultimately, to encourage creative thinking. It is a small, easy to build and most of all an affordable machine to get you started in the world of 3D printing without having to spend too much on it. This device is originally intended for people to built it themselves from parts with an expected bill of material of just around $200 USD, but you can also order an already assembled 3D printer as well. 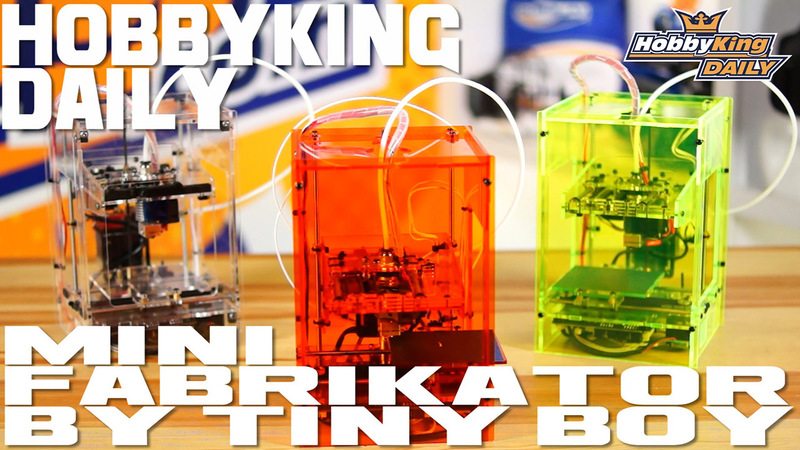 HobbyKing, one of the largest online stores for radio controlled models and parts is selling Mini Fabrikator 3D printer which is essentially the TinyBoy 3D printer already assembled and ready to be used. You can order the Mini Fabrikator from USA for $215.93 USD from their USA warehouse plus shipping or if you are in Europe you can get the Mini Fabrikator from EU for 204.63 Euro from their European warehouse plus shipping. The 3D printer is also available in their international warehouse for $179.77 USD in Asia, but ordering from there would mean that you will have to pay customs taxes when it arrives. The Mini Fabrikator 3D printer offers a print size of 80x80x80mm (the size of the build plate) and uses 1.75mm PLA filament by default (there is no heated build plate available) and the extruder nozzle is 0.4mm. The only thing that is kind of missing is a filament holder probably due to the small size of the 3D printer, but then once you get the printer you can actually 3D print a holder yourself. The community has already made some upgrades and additional things that you can 3D print or do to make the experience using the device even better and you will keep learning to use the device along the way. The Mini Fabrikator 3D printer does indeed look like a great first step into the world of 3D printing without too much of an investment and we have ordered one of these to check it out, so you can expect more about the device when we get our unit and personally try it out..